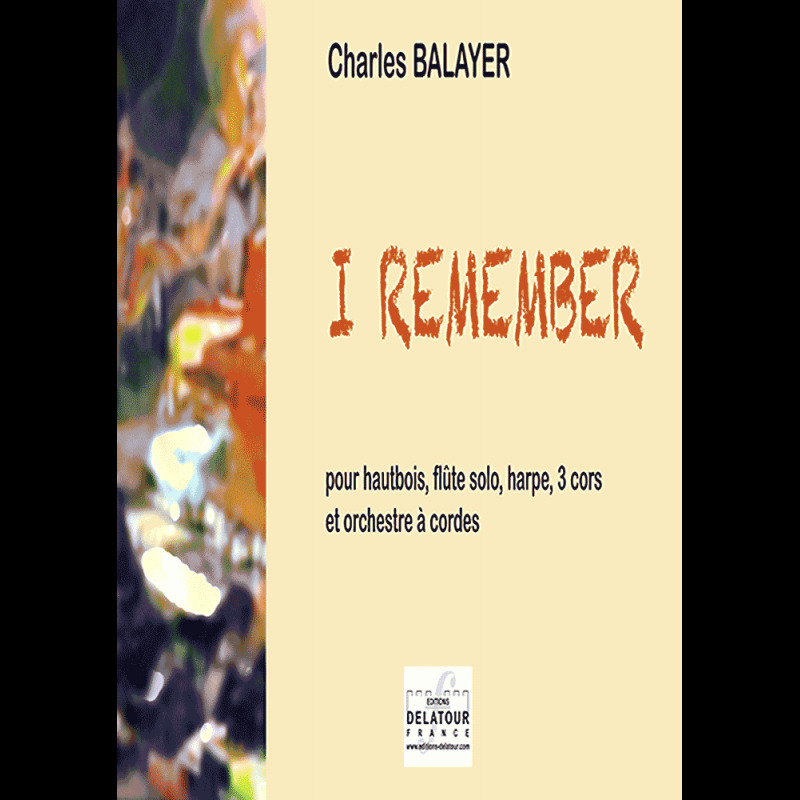 This piece, composed in 1997 in memory of Jean Doz, flutist and headmaster of the "Conservatoire de Musique et Danse" in Brive (France), is written for oboe and flute solo, harp, 3 French horns and string orchestra. On a rhythmic ostinato on the harp accompanied by strings, the oboe exposes a A modal theme, which ends in A major. The middle part is a development of the first phrase listen of this theme, which is played by the flute accompanied by strings. The piece ends with a new exposure of the A major part of the initial theme, but as a canon for the oboe and the flute.